of London's wealth is owned by the richest 10% of its households. The bottom 50% own just over 5%. greater is the income of someone just in the top 10% in London in comparison to someone just in the bottom 10%. 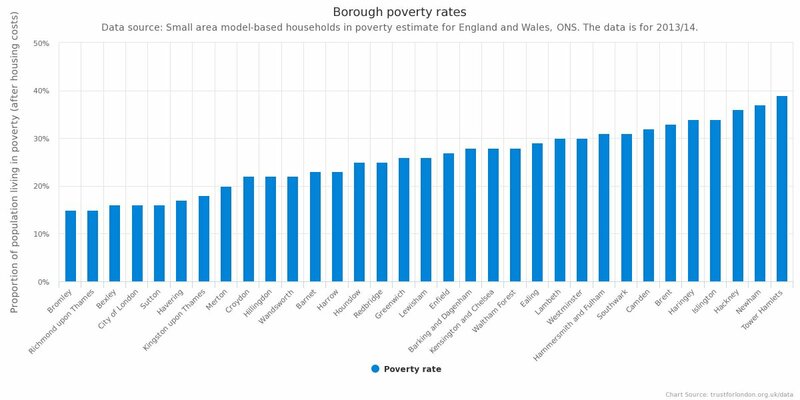 greater is the wealth for someone just in the top 10% in London in comparison to someone just in the bottom 10%. Inequality explains the incongruence between two pictures of London: one of the booming centre of global finance and home to many of the world’s rich, and the other of a city with high levels of poverty and deprivation. Income inequality is significantly greater in London than elsewhere in England. In the three years to 2015/2016, the income of someone just inside the top 10% was eight times higher than someone just inside the bottom 10% of earners, and the top 10% earned more than the bottom 50%. However, the lowest 10% of earners have seen their wages increase since 2011, while median earners and the top 10% have experienced declines. 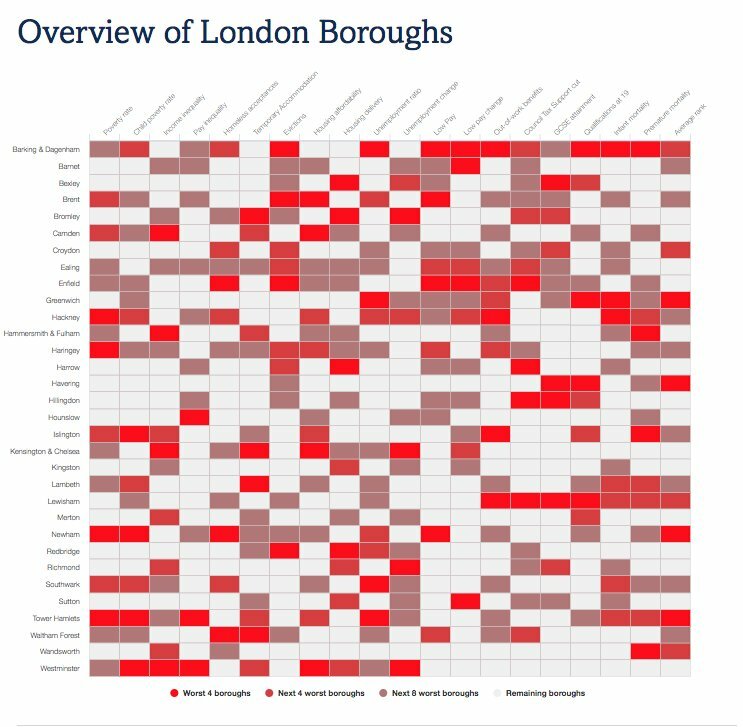 Wealth inequality is far wider than income inequality in London. 50% of London’s wealth is earned by the richest 10% of its households, while the bottom 50% own just over 5%. And someone just inside the top 10% in terms of wealth owns 295 times more than someone just inside the bottom 10%. This trend is becoming more extreme in London, with the least wealthy 10% of people losing 32% of their wealth over the last two years, compared to a 2% drop across Great Britain. Meanwhile, the wealth of the top 10% in London has increased by 25%.